The purpose of the Police Facilities Section of the Community Facilities Element is to establish objective, policies, and criteria, for meeting San Francisco's long-range police facility requirements. The objectives address broad goals as they relate to the distribution, location, design and use of police facilities. Policies are courses of action which are supportive of the objectives and, together with criteria, provide a continuing guide and directive for public decisions. The plan deals with police facilities. It does not represent a plan for police operations. That task is the responsibility of the Police Department. However, the Police Facilities Section recognizes that changes in operations will inevitably take place and that inherent flexibility to accommodate operational changes is an essential component of a responsive and effective facility plan. The plan was prompted by an awareness by the Police Department of general facility inadequacies and deterioration of older buildings, and reflects a joint effort by the Police Department and the Department of City Planning. Many of San Francisco's police facilities reflect the operational and locational criteria of the early 1900's. Police practice at that time required that the location of police stations be determined by the walking radius of officers in developed areas. Patrol by horse required stables at outlying stations. The grooming and care requirements for horses suggested that station with stables be located in or adjacent to parks. Only a few police buildings approach contemporary facility standards. The remaining facilities vary only in degree as to their level of physical deterioration and functional obsolescence. Several stations still have stables and none have accommodations for female patrol officers. While the prospect of replacing or rehabilitating police facilities implies a burden in terms of cost, it also poses the opportunity to plan, design and locate new facilities in a manner responsive to future community needs and desires. To this end, this plan has been formulated based on several fundamental assumptions. The effectiveness of police service is enhanced when provided on a neighborhood level. Recent advances in communication and the common use of cars has had a significant impact on police operations and community perceptions of police effectiveness. The patrol car in many instances has replaced the beat officer; and, as a result, a certain detachment has developed between the police and community. In an effort to strengthen rapport and cooperation between the police and community, citizens and officers alike have sought means for reestablishing police/community relations. The decentralization of police services through district stations is viewed as an effective means for developing and maintaining police community ties. Both police professionals and the public are generally of the view that stationing police personnel within a neighborhood and providing a broader range of services at the neighborhood or district level foster a greater sense of mutual commitment, concern and understanding. Responsive police service requires continued sensitivity to changing community concerns regarding law enforcement, and continued adjustment in which services are performed and how they are performed. This can best be achieved when police personnel are in tune with community attitudes an can respond on a neighborhood level. Technological and social changes require adaptability and flexibility of police facilities. Technological and social changes have a continuing impact on police operations. Technological applications have greatly increased the effectiveness of police service and will probably continue to do so. For example, the 911 telephone program provides citywide communication access to all emergency services. Computer applications aid in manpower deployment and criminal detection, and new applications are under study. Future effectiveness of police facilities will depend on their adaptability to new technology. Cultural changes are also affecting police operations. An increasing influx of women to the force requires adjustments in operations and facilities. Likewise, increasing demands for expansion of police services and better safeguards for citizens involved in police-related incidents call for a greater degree of specialization in police skills and accompanying facilities required for the professional delivery of services. New and renovated police facilities must have the inherent capacity and flexibility to adapt to technological and operational changes within a changing society. While facilities contribute to effective police operations, the prime responsibility for public safety rests with both police personnel and the community. Police personnel, the programs, training, and policies that guide their actions, and the nature of community support are the key elements in effective crime prevention and public safety. Facilities are important only to the extent they contribute to efficient operations and provide the setting for constructive police neighborhood interaction. DISTRIBUTE, LOCATE, AND DESIGN POLICE FACILITIES IN A MANNER THAT WILL ENHANCE THE EFFECTIVE, EFFICIENT AND RESPONSIVE PERFORMANCE OF POLICE FUNCTIONS. The distribution, location and design of police facilities contribute to operational efficiency and flexibility. Improved efficiency frees officers for patrol and community relations work, while flexibility allows for adjustments in deployment of police resources in response to changing needs. In order to provide responsive police service, the organization of police operations should meet two basic concerns: police service on a neighborhood level, and overall citywide coordination of police activities. Responsiveness to neighborhoods calls for close community integration of services such as patrols, community relations, and public information. Overall departmental coordination requires the centralization of administration, communications staff services, records, and investigations in order to provide a citywide overview. Those police services which relate on a neighborhood level, or which need not be carried out centrally, should be assigned to district stations. Activities which relate to the city as a whole should be centralized. The expansion of the number of free standing facilities housing specialized functions should be discouraged since facilities in themselves require manpower for security and administrative staffing. As a general rule, expansion of police services should be accommodated either at district stations or at police headquarters. Locate police functions that are best conducted on a centralized basis in a police headquarters building. Effective police service and management require the overall coordination of departmental activities and programs so that all citizens are assured of an equitable level of police service. Such coordination can best be achieved through the centralization of certain key activities. Such as administration, departmental policy formulation, program planning, manpower and resource allocation, information management, citywide operations ad communications control and dispatch, and centralization of police records. Centralization of these functions minimizes administrative activities at the district station level, while maximizing effectiveness by freeing police officers for patrol work and by supporting them with a comprehensive communications and information network. Provide the number of district stations that balance service effectiveness with community desires for neighborhood police facilities. The distribution, location, and design of district stations should provide effective policy services at the neighborhood level and maximize the number of police personnel available for patrol work. A relationship and possible trade-off exists between the number of district stations and the effectiveness of police service since police personnel required for station staffing might be poorly utilized if there is insufficient demand for their services. In order to maximize patrol and service effectiveness and still maintain the symbolic neighborhood value and public service convenience provided by neighborhood police facilities, a balance must be struck between operational requirements for district stations and community desires for maintaining police facilities in their neighborhoods. Community sentiment clearly favors nine district stations, and that number represents a satisfactory balance between operational efficiency and community desires for a neighborhood police presence. Therefore, unless public sentiment changes in the future, nine district should be retained. Enhance closer police/community interaction through the decentralization of police services that need not be centralized. Expressed community desires for maintaining a district station concept stems from the feeling that stationing police officers within a neighborhood fosters a greater sense of commitment, concern, and understanding, resulting in better police service and expanded community participation and cooperation in public safety efforts. This feeling is shared by police officers and suggests a greater decentralization of police personnel, operations, and services. To the extent possible, the broad range of police services that do not require centralization for effective performance, should be decentralized with service responsibility assigned on a neighborhood or a district station level. Decentralization of services should be based on a comprehensive review of current police operations, long-range programs for future services, and community input. New and renovated district stations should have the inherent capacity and flexibility to accommodate decentralization of services. Distribute, locate, and design police support facilities so as to maximize their effectiveness, use, and accessibility for police personnel. Firearms training should be supported by indoor facilities incorporated into the designs of district stations and police headquarters. Until there are sufficient indoor facilities, the Pistol Range at Lake Merced should be maintained but not expanded. Diverse opportunities for physical fitness training should be readily and conveniently available to police personnel. Exercise facilities should be included in district stations. A major athletic facility should also be available to all personnel and relate closely to headquarters and the police academy. Training for recruits and in-service training for sworn personnel should be supported by a police academy. The police academy should relate to the instructor pool at police headquarters and to the athletic facility. Classrooms for in-service instruction at district stations should also be provided. The unique requirements of the Mounted Unit and direct service relationship with Golden Gate Park suggest that the existing stables be maintained and improved as required. The two horse stables in McLaren Park should be maintained. A permanent hangar facility and landing pad for police helicopters is required and should be located in the "god weather belt" along the Bay. Proximity to headquarters is desirable. The design and setting of heliport and hanger facilities should be consistent with applicable control guidelines for this activity. As they require replacement, relocate existing nonconforming facilities consistent with community desires for neighborhood police facilities. Stable and horse care requirements for mounted patrols, prior to the widespread use of vehicles, suggested that police stations be located in parks. Ingleside and Park Stations, which were built in 1910, are located in Balboa Park and Golden Gate Park for this reason. Likewise, the noise aspect of pistol practice suggested the remote location of this activity at Lake Merced. Replacement of horses by vehicles and developments in gunfire muffing techniques bring into question the logic of maintaining Ingleside and Park Stations and the Pistol Range in their current remote open space settings. In light of the high community value attached to parks in San Francisco, the preservation and restoration of park areas to park use is a long-range objective. Under the Recreation and Open Space Element of the General Plan, police facilities in designated recreation and open space areas are nonconforming uses. As these facilities become obsolete and require replacement, they should be relocated, consistent with the location and neighborhood service policies of this plan, and consistent with community desires for continued location of a district station in the neighborhood. Design facilities to allow for flexibility, future expansion, full operation in the event of a seismic emergency, and security and safety for personnel, while still maintaining an inviting appearance that is in scale with neighborhood development. The long-term service life of police facilities requires flexibility in their design so that changing methods for providing police services can be accommodated. Technological, social and attitudinal changes affect police operations, requiring facility modifications to accommodate changing personnel, equipment, and work patterns. Police facilities should be easily adaptable to new special configurations and have sufficient capacity to meet future service requirements. Police facilities should be built to be operable in event of a seismic disaster, sited so as to minimize opportunities for covert attack and designed to provide protection of personnel. In achieving security, design treatments should be such as to maintain an open and inviting character which integrates the police facility with the community. Police facilities should be easily identifiable, set community standards for maintenance, appearance, neighborhood amenity, and enhance the dignity of and respect for the law enforcement process. Experience has shown that police facilities located in isolated settings are particulate vulnerable to attack. In addition to being security hazards, such facility locations are generally inaccessible to the community and should be avoided. Existing police buildings should be phased out of such locations. Combine police facilities with other public uses whenever multi-use facilities support planning goals, fulfill neighborhood needs, and meet police service needs. Multiple use of police, fire, public health and other services or land uses should be encouraged whenever combined use is mutually reinforcing. In general, similar criteria govern the location of police, fire and emergency public health facilities and sufficient linkages exist between these services to warrant the consideration of combining these activities within one facility. Combined use of public services is further prompted by the scarcity of available sites that meet locational criteria. LOCATE AND DESIGN FACILITIES IN A MANNER THAT ENCOURAGES CONSTRUCTIVE POLICE/NEIGHBORHOOD INTERACTION. The nature of police work entails numerous daily contacts with citizens, often during trying situations wherein the police are called upon to resolve conflicts or maintain law and order. Continuous communication, interaction and cooperation between the police and community on an informal basis foster understanding and develop ties which strengthen the community and aid the police in their peace-keeping responsibilities. Neighborhoods want to relate to police personnel on an individual basis, as partners working together to improve the quality of community life. That process is aided by deploying police personnel on a district station basis. However, district station buildings in themselves do not generate community ties. Police personnel should continue their efforts to establish, maintain and expand those ties which reinforce police/community relations. The location, distribution, design and operation of police facilities can be a catalyst for promoting closer police, community understanding, and more responsive and effective police service. Provide expanded police/community relations and police services through outreach programs, primarily utilizing existing facilities. Convenient community access to both police services and personnel promotes better public use of police services and develops closer police/community ties. District stations, conveniently located to neighborhood shopping areas, provide the opportunity for filing crime and accident reports, paying traffic warrants, receiving crime prevention information, discussing problems with community relations officers, and meeting neighborhood patrol personnel. Police officers in turn get to know the people they serve, including their concerns and expectations relating to police services. Community needs may warrant the establishment of a "Neighborhood Services Facility," such as a storefront facility which provides municipal services on a neighborhood level. Inclusion of community relations and other police services should also be considered in conjunction with such a facility. Police neighborhood storefronts should be tested for their feasibility. However, in light of high administrative, security, and maintenance costs attached to "Neighborhood Store-fronts," expanded police/community relations service for San Franciscans should be primarily a function of outreach programs conducted by police personnel utilizing existing community facilities. Establish police district boundaries along natural neighborhood edges, and reinforce neighborhood identity by locating district stations near the centers of their service areas. Locating district stations near the centers of their service areas reinforces community awareness of police service presence, adds to the convenience of personal visits to district stations, and is conducive to increasing interaction between neighborhood residents and district police personnel. In general, those elements which define neighborhoods also tend to be barriers to movement. Efficient police operations generally call for using barriers to movement as district boundaries. Locating stations centrally within a district also tends to minimize travel time within the district. Both of these operating criteria reinforce this policy. Design police facilities to maximize opportunities for promoting community/police relations through dual use of facilities. The primary purpose of pistol practice, in-service training, and physical fitness facilities is to maintain police force performance standards. However, these facilities can serve as community resources when they are made available to the public, particularly youth, on a supervised basis. Opening police facilities for community use promotes opportunities for informal interaction between police personnel and the public, establishing ties which foster police/community understanding. Pistol range facilities can be used for recreational marksmanship programs. In-service training classrooms can be used for community meetings and police safety information programs. Athletic facilities can be used for "Youth Services Bureau programs and major youth tournaments. Based on the objectives and policies of this plan, the following functional, locational, neighborhood relations, and design criteria are recommended for police facilities. One centralized facility with good citywide access, both vehicular and public transit. Direct proximity to related criminal justice services of the criminal courts, District Attorney's Office, and detention facilities. Convenient public transit access to police headquarters. Direct public access to public services and general information. New facilities should reflect the objectives, policies, and criteria of the "Urban Design Element" of the Comprehensive Plan to the extent they are applicable. Controlled access and security for operational, investigative, and administrative functions. Uninterrupted operational capability in the event of a seismic disaster. Sufficient secured parking for both police vehicles and police personnel. Outlet for neighborhood-related police services and other operations that need not be centralized. Command responsibility for district police activities. Administrative and support communications center for district patrol activities. Service and information for "walk-in" requests. Storage for police vehicles and equipment. Briefing, locker, and deployment center for patrol personnel. In-service training, physical fitness and pistol range facilities. Stations should serve recognized and geographically defined areas of the city, and should encompass entire neighborhoods to the extent possible. There should be no major physical barriers within a district service area which may impede access by police. The number of district stations should minimize patrol force travel time to and from the areas served. The number of district stations should reflect community desires for these facilities, consistent with community willingness to pay for their construction, maintenance and staffing. District stations should service equitable workloads and provide a uniform level of service to all citizens. Stations should be located so as to minimize access time to all points within the district served. Stations should be accessible to the public, particularly by public transit. Stations should be located so as not to constitute a nuisance or hazard to surrounding land uses. Whenever possible, stations should be combined with other public facilities so as to maximize community awareness and impact of public services. Ready public access to police services district personnel should be assured. Community use of facilities such as meeting rooms and gym when incorporated within the district should be provided on a supervised basis. Stations should be open, unimposing and in scale with surrounding development. Controlled access and security for police personnel and public. Operational capability in the event of a seismic disaster. Community meeting rooms and gym facilities should be included if these facilities are not readily available. Sufficient capacity and special flexibility to accommodate increase in patrol force assignments of both male and female officers, and expansion of police services. Good vehicular access and dispatch flexibility should be available. Sufficient secure parking for police and personnel vehicles. Maintain personnel records and process recruits. Conduct academy classes, including physical fitness training. Develop training films and manuals. Police academy classrooms should be in proximity to police headquarters: however, local universities should also be used for recruit training and in-service training. Police academy facilities should be located near the "instructor pool" based at police headquarters. The police academy should be accessible by public transit. Academy classrooms should be used for community instruction programs related to law enforcement and for recruitment programs. Police academy facilities should have sufficient capacity for recruit training and in-service training. Training of recruits and personnel. Implementation of police firearm recertification program. Maintenance and testing of firearms. Pistol range facilities should be incorporated at police headquarters and at district stations in order to minimize travel time and encourage practice. Pistol range facilities should be secure from intrusion and not constitute a noise nuisance. Pistol range facilities should be made available for recreational purposes on a supervised basis. Pistol range facilities should be confined and isolated for safety and noise control. Fitness training for police personnel. At least one major police athletic facility should be centrally accessible to all police personnel. A police athletic facility should be centrally and conveniently located, integrated with the police academy, and near police headquarters. Police athletic facilities should be made available for community use on a supervised basis. Police personnel should be encouraged to use neighborhood athletic facilities for exercise and training. Police athletic facilities should be sufficiently diverse and comprehensive to encourage widespread departmental fitness participation. Command, briefing, and administration of patrol force. Locker and storage facilities for vehicles and equipment. Stable and care facilities for horses. To the extent that park and beach patrols are not performed by district stations, one Park and Beach Unit and one Mounted Unit facility is required. Park and Beach Unit facilities should be located near park and beach service areas. 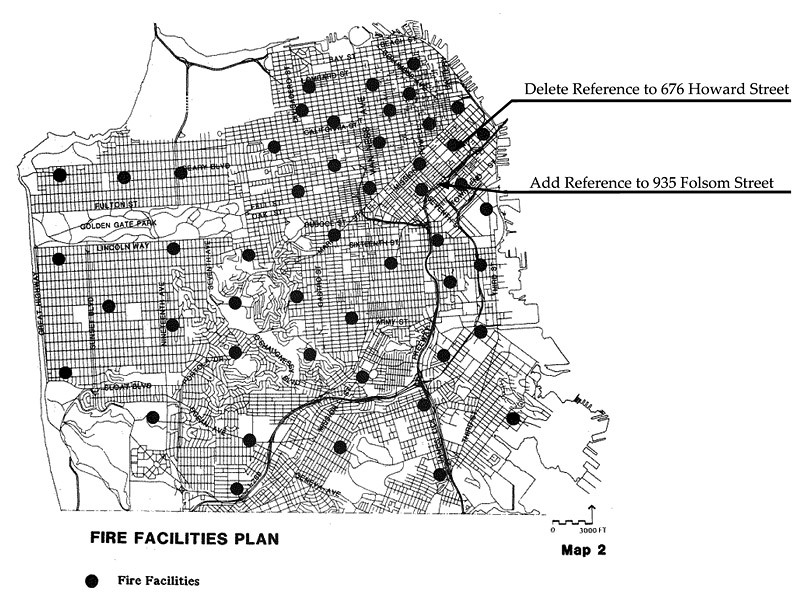 Mounted Unit facilities should be retained in Golden Gate and McLaren Parks. The operation of Park and Beach Unit facilities should not detract from public enjoyment of park and beach facilities. Park and Beach and Mounted Unit facilities are functionally similar to a district station and should be governed by similar design criteria. Stables for horses of the Mounted Unit should be of fireproof construction, in addition to meeting seismic standards. Maintenance and storage of equipment. One heliport landing and maintenance facility for patrol helicopters and emergency optional landing sites are required. Police heliport facilities should be located in the "good weather belt" along the Bay and sited so as not to be a noise nuisance to adjacent properties. Police heliport operations should be in conformance with noise control, development and environmental guidelines. Heliport facilities should be secured and not constitute a fire or crash hazard. Provide a convenient and informal setting for individuals to discuss police-related concerns with police personnel and community relations officers. A convenient outlet for police services such as paying warrants, filing crime reports, or receiving crime prevention information. Neighborhood Service Offices should be located in communities that do not have ready access to district stations and desire such a facility. Police Neighborhood Service Offices should relate to and be combined with other neighborhood municipal service offices to the extent practical. Neighborhood Offices should be located in community shopping centers. Neighborhood Offices should be readily accessible by foot and transit. Neighborhood Offices should be responsive to the unique service requirements of the community served. Neighborhood Offices should be open, unimposing, and in scale with community character. The purpose of the Neighborhood Center Facilities Section is to establish objectives, policies and criteria for meeting San Francisco's need for such centers. The objectives address broad goals as they govern the location, distribution, design and use of neighborhood centers, and the more detailed policies and criteria articulate the objectives and serve as guidelines for decision-making. This plan deals principally with the distribution, location and design of neighborhood centers. It neither sets priorities for locating centers nor makes judgments as to what services or activities should be housed in any particular center. With respect to City-owned centers the authority for these decisions and assignment of center operating responsibilities rests with the Board of Supervisors who, in making their decisions, may call upon the community for input, and request technical assistance and advice from the Department of City Planning and other public agencies. The plan was prompted by community requests for development of City-owned neighborhood centers, and subsequent funding allocations for a Neighborhood Centers Program utilizing Community Development and other funds that may become available. Community services and facilities to meet social, cultural, educational, recreational and civic needs contribute significantly to the quality of community life. Traditional public facilities such as libraries, schools, recreation centers and public health clinics have long been recognized as meeting many of those needs. In addition, many neighborhoods are served by private non-profit community centers that are often available to the general public and provide services at no cost or low to moderate fees. These neighborhood centers, such as those connected with the YM/YWCA's or Golden Gate Neighborhood Centers Association, often provide recreational and cultural programs, child-care services, senior citizen programs, health screening, and various counseling and referral services. In many instances, however, citizens are deprived of ready access to the foregoing services because neighborhoods lack adequate facilities to house needed services. In other cases, the inability of facilities to meet code requirements, such as open space standards for child care or kitchen health standards for meals programs, precludes provision of services. Furthermore, existing services are often inaccessible to many people they ought to serve. For these reasons, many San Franciscans do not have adequate access to needed human services, and therefore a commitment should be made to develop a network of neighborhood centers that will provide a focus for neighborhood activities and services. These centers would provide new and better locations for existing services that are inadequately housed, and would have space for new services or expanded existing services to meet the needs of a particular neighborhood. In addition to providing services directly, the neighborhood centers can be used to refer residents to other locations in a citywide network of services. The quality of community life is enhanced when services and facilities that meet diverse human needs are readily available. A socially responsive society maintains an awareness of the needs of its citizens, and is particularly sensitive to basic life-sustaining needs such as requirements for health services, neighborhoods also need a focus for community life and opportunities for informal activities and programs related to the recreation, education and civic concerns of all age groups. Neighborhood center facilities can provide the physical setting for fulfilling these needs. Increasing national awareness of the needs of many people including the economically disadvantaged, elderly, underemployed and single parent households has resulted in substantial expansion of both private and public efforts to meet the basic service needs of these groups. Also, interest in civic and community activities on a neighborhood level has increased in recent years. The expansion of social services and increased participation in neighborhood activities have resulted in an acute awareness of the inadequacy of existing facilities, both public and private, to meet needed spatial and functional requirements. If needed services are to be provided and neighborhood awareness encouraged, adequate and flexible community centers are necessary. While neighborhood centers provide facilities for housing services, the success of center operations rest with the community. Neighborhood Center facilities only provide the physical shell to house services, programs and activities. The success of center operation depends of the level of community involvement, interest and support in making the center responsive to the social cultural, recreational and civic needs of the neighborhood served and a focus for community life. ASSURE THAT NEIGHBORHOOD RESIDENTS HAVE ACCESS TO NEEDED SERVICES AND A FOCUS FOR NEIGHBORHOOD ACTIVITIES. One component contributing to the quality of the living environment is the availability of community services and facilities designed to meet the cultural, social and recreational needs of neighborhood residents. While there are already many neighborhood services and facilities (libraries, recreation centers, health centers, police stations, schools) there are still unmet needs. Services to be provided vary according to the composition and needs of the population in the area and include activities such as child care, health care, youth activities, senior citizen programs and adult education and enrichment programs. A multi-purpose neighborhood center not only is a facility that provides needed services, but is a place where neighbors can gather and socialize, and is a symbol to all residents of the binding sense of "community" shared by the neighborhoods. As such a neighborhood center serves as a focus for community activities. Provide neighborhood centers in areas lacking adequate community facilities. Some San Francisco neighborhoods lack adequate physical facilities for needed services and for neighborhood activities. Therefore, the City should undertake programs to provide multipurpose centers in neighborhoods where they are lacking or inadequate. Centers need not be new, independent buildings, but can be additions to existing community facilities such as schools, libraries, health centers and recreation centers. Rehabilitation and renovation of such existing public buildings can result in useful neighborhood centers. Assure that neighborhood centers complement and do not duplicate existing public and private facilities. In assigning resources to develop neighborhood centers, care must be taken so as not to duplicate existing facilities with adequate capacity. Before a neighborhood center is constructed or acquired by the City, all existing facilities in the neighborhood should be surveyed and evaluated with respect to their adequacy. Expansion of existing facilities should first be explored before establishing a new facility. If required and practical, new facilities should be conveniently located in relation to existing public facilities. When developing a new facility consideration should also be given to relocating existing City and private services into it from rental quarters or spaces which are too small or otherwise substandard. Develop centers to serve an identifiable neighborhood. A community must strongly identify with its neighborhood center if successful and responsive use and service is to occur. Clearly locating a center within a perceived neighborhood strengthens the sense of identity between the residents and the center. As a physical symbol of the neighborhood the center could generate greater neighborhood interest and participation in its activities and programs. The diverse character and size of San Francisco's districts and neighborhoods will cause considerable variety in the scale and character of centers. Locate neighborhood centers so they are easily accessible and near the natural center of activity. Participation in neighborhood centers activities and programs is encouraged when centers are visibly located near or within areas where neighborhood activity is clustered such as neighborhood shopping areas, recreation centers, libraries, schools and health centers. Centers should be easily accessible, particularly by foot and public transit. Major trafficways are not good locations in view of possible congestion and lowered standards of safety and traffic engineering. Develop neighborhood centers that are multipurpose in character, attractive in design, secure and comfortable, and inherently flexible in meeting the current and changing needs of the neighborhood served. In order for neighborhood centers to be effective they should be multi-purpose and sufficiently flexible to accommodate all potential users, including children, handicapped people, and elderly. Spaces and rooms should lend themselves to various activities in response to the many and changing needs of a particular community. This can be achieved through the use of movable partitions and by providing ample storage space. The scale of the center should be adequate and appropriate for the number of people to be served and in keeping with community character. Centers should be attractive and comfortable in design, and arranged to provide security for users, equipment and materials. Base priority for the development of neighborhood centers on relative need. The general level of need for and access to community services varies among neighborhoods. The types and mix of services desired also varies. In determining priorities, consideration should be given to neighborhoods in greatest need of centers, with special emphasis for the disadvantaged. Income is a key indicator of service need, since lower-income people do not have the financial ability to purchase services such as child care, health care, recreation and personal development/career enrichment programs. Likewise, existing facilities in lower-income neighborhoods tend to be older and inadequate for needed services. Another major consideration is access to services. Many people, particularly lower-income and elderly people, are denied needed services because these services are virtually inaccessible. Facilities should be first provided in those neighborhoods where basic livability services are needed and where people are being denied these services due to poor access. Program the centers to fill gaps in needed services, and provide adequate facilities for ill-housed existing services. All neighborhoods have some social services, and facilities that house those services. However, often there are "service gaps" where needs and services do not match. Child care, senior citizen programs and activities, and places for neighbors to meet and conduct community programs are often lacking. New neighborhood centers should seek to complement and supplement existing services and activities. Since the facilities that house existing services may be inadequate, often jeopardizing the continuation of expansion of a much-needed service, new or improved neighborhood centers should provide for the relocation of services from substandard facilities. Provide neighborhood centers with a network of links to other neighborhood and citywide services. It is often not practical, and even not desirable, to house a full range of services for the entire neighborhood in a single center. For example, child care and a drug abuse program may not be compatible in the same facility. However, in order to facilitate broad access to services, neighborhood centers should be the pivotal point in the community, providing referrals to other facilities and thus linking together all services to make them available to each neighborhood. Neighborhood centers should have linkages with and relate to the neighborhood programs and facilities of the Art Commission, Commission on Aging, Recreation and Park Department, Public Library, Unified School District, Police Department, Health Department, Department of Social Services, and private service agencies. PROVIDE NEIGHBORHOOD CENTERS THAT ARE RESPONSIVE TO THE COMMUNITY SERVED. Basic to the notion of a neighborhood center is that it be responsive to the broad needs and desires of the community served. If a center fails in this regard it will cease to be used by neighborhood residents. In order to develop and operate centers that are responsive, active neighborhood participation in the planning, programming and ongoing management of the center must be maintained. In general, centers should be planned so that no single group, activity or program is predominant. Programs should be oriented toward all age groups and provide a mix of specialized services, referral services and general activities. The effectiveness of the centers' program and activities should be periodically evaluated to assess whether the needs of the community are being met and whether potential center users are being denied access due to inadequate programming or other causes. Assure effective neighborhood participation in the initial planning, ongoing programming, and activities of multi-purpose neighborhood centers. Neighborhood participation is essential to the successful and responsive functioning of a neighborhood center. Neighborhood input, from the initial planning stages through center programming and management, instills a sense of neighborhood control of the center. This is vital to the acceptance of the center as a true neighborhood facility. Also, broad neighborhood participation in center programming is essential to the definition of unmet needs and assessment of the level of interest in various programs and activities. Neighborhood comment and reaction to center operation and programs should be continuously monitored and programs and activities modified to meet changing needs. Provide an effective and responsible management structure for each neighborhood center. Effective center management and administration is essential if the many and varied needs of a neighborhood are to be met. The various center programs and activities must, in addition to being responsive to neighborhood needs, be compatible, coordinated and scheduled to match user needs. In addition, provision must be made for ongoing facility operation, maintenance and administrative management. There are several alternative approaches for assigning neighborhood center management responsibility, including having one agency/service provider within each center take the lead and assume this responsibility, contract with an independent firm for center management services, or management by a non-profit corporation responsible to either a community board or a coalition of service providers located within the neighborhood center. Insure continuing responsiveness to neighborhood needs by making clear assignments of responsibility for supervision of center operation and administration. In order to insure that neighborhood centers in each community continue to function in a responsive and responsible manner, some entity, separate from center management, should be assigned the responsibility of administrative supervision of centers for the City. Administrative supervisory responsibilities include general monitoring of center activities, assessment of programs, technical assistance and general supervision of center operations, management and maintenance. There are several alternative approaches for assigning administrative supervisory responsibilities, including assumption of responsibilities by an experienced private agency acting for the City, use of an existing agency of local government, or creation of a new public agency. One of the key elements in successfully planning multi-service centers for use by specific population groups is the location. Location plays a major role in the outreach efforts of service providers. A conveniently placed facility, for example, will help encourage people who have already heard of the center to use its services. If the center is prominently placed it will remind people of its presence and even advertise itself to people who otherwise would not know of its existence. The center should be located in an area which is easily accessible and highly visible to the population it is intended to serve. Areas near collector streets with relatively large amounts of vehicular and pedestrian traffic should be considered initially. The facility should not be placed on the major roadway but should be convenient to it. Centers should be located near support facilities such as schools, parks, libraries and recreational facilities. Locations near other types of services will substantially reduce the need for residents to travel to other parts of the city for needed services. Several purposes can then be accomplished in one trip. The location should contain elements which act as a focus for the community. Sites near landmarks, neighborhood shops, or major intersections are often suitable locations. Centers should be near public transit stops, especially those directly serving the population groups to be reached. Service centers should be located within neighborhood boundaries; however, programs could be developed to serve surrounding or adjacent communities. Information and referral services, for example, could be utilized by persons other than local residents without causing a measurable reduction in program services to the local community. Centers should be located so that center-related activities and center uses are compatible and supportive of adjacent land uses, and do not disrupt nor detract from adjoining uses. Center sites should be protected from the negative effects of vehicular traffic. Facilities should be accessible without requiring patrons, particularly children and the elderly, to cross streets which carry heavy vehicular traffic. Entrances should be located in such a manner as to provide safe ingress and egress and smooth circulation patterns. DEVELOPMENT OF A SYSTEM OF FIREHOUSES WHICH WILL MEET THE OPERATING REQUIREMENTS OF THE FIRE DEPARTMENT IN PROVIDING FIRE PROTECTION SERVICES AND WHICH WILL BE IN HARMONY WITH RELATED PUBLIC SERVICE FACILITIES AND WITH ALL OTHER FEATURES AND FACILITIES OF LAND DEVELOPMENT AND TRANSPORTATION PROVIDED FOR A OTHER SECTIONS OF THE GENERAL PLAN. In general, firehouses should be distributed throughout the city so that each firehouse has a primary service area extending within a radius of one-half mile. This spacing should vary in relation to population densities, building intensities and types of construction, the pattern of trafficways, and with the relative degree of fire hazard. Firehouses should be located on streets close to and leading into major or secondary thoroughfares. Firehouses should be so located that no topographic barriers require time-consuming detours within the primary service area of each firehouse. DEVELOPMENT OF A PUBLIC LIBRARY SYSTEM IN SAN FRANCISCO WHICH WILL MAKE ADEQUATE AND EFFICIENT LIBRARY SERVICE FREELY AVAILABLE TO EVERYONE WITHIN THE CITY, AND WHICH WILL BE IN HARMONY WITH RELATED PUBLIC SERVICE FACILITIES AND WITH ALL OTHER FEATURES AND FACILITIES OF LAND DEVELOPMENT AND TRANSPORTATION PROVIDED FOR IN OTHER SECTIONS OF THE GENERAL PLAN. In general, branch libraries should have a service area range of not more than one mile, and should be distributed so that all sections of the residential community areas of the City are within the service range of a public library. The spacing of branch libraries should vary in relation to present and prospective population densities and characteristics, physical barriers, and transit and trafficways patterns. In general, the library system should be comprised of large branches each serving a population of 25,000 to 50,000. In areas of low population density or areas prescribed by physical barriers small branches may be developed to serve a population of 10,000 to 15,000. Branch libraries should be located where a variety of community facilities attracts the residents of the surrounding area. Branch libraries should be easily accessible to pedestrian routes and vehicular trafficways, and should be not more than a level block from a transit stop. Parking for motor vehicles and bicycles should be readily available on or near the sites of branch libraries. Public library buildings should be simple and functional in design and in harmony with their surroundings. Buildings should be planned for the pleasure and convenience of the public, and for economy and efficiency in operation and maintenance. DISTRIBUTION THROUGHOUT THE CITY OF DISTRICT PUBLIC HEALTH CENTERS TO MAKE THE EDUCATIONAL AND PREVENTIVE SERVICES OF THE DEPARTMENT OF PUBLIC HEALTH CONVENIENT TO THE PEOPLE, THEREBY HELPING TO ACHIEVE THE GOALS OF THE PUBLIC HEALTH PROGRAM IN SAN FRANCISCO. The goals of the public health program are to create and maintain a healthy environment in which people may live and work, to help each individual in a community reach and sustain his maximum capacity for health, and to promote physical and mental efficiency through organized community effort. In a city such as San Francisco, district health centers properly located to suit the public need and convenience are important in achieving these goals. District public health centers should be distributed throughout the city so that each serves a population varying from 75,000 to 150,000, depending on the extent of need of the population served. For maximum convenience a health center should be centrally situated in relation to the population served in each health district, and convenient to public transportation. Where possible, district health centers should be grouped with public schools and recreation grounds in a community center. The design of public health centers should be functional and flexible to suit present needs and to be adaptable to the potential activities of the Department of Public Health. Conference stations should be established where needed within a health center district to serve a population of 25,000 to 50,000. Conference stations, operated from district health centers, when needed, should be located if possible in existing public or community facilities such as schools or recreation centers. ASSURE THAT PUBLIC SCHOOL FACILITIES ARE DISTRIBUTED AND LOCATED IN A MANNER THAT WILL ENHANCE THEIR EFFICIENT AND EFFECTIVE USE. Provide public school facilities for education in accordance with the need for such facilities as defined by the Unified School District and Community College District. Locate such facilities according to the Public School Facilities Plan and, wherever possible, make available for community use. ASSURE THAT INSTITUTIONAL USES ARE LOCATED IN A MANNER THAT WILL ENHANCE THEIR EFFICIENT AND EFFECTIVE USE. Locate institutional uses according to the Institutional Facilities Plan. The areas that are shown on the Institutional Facilities Plan are those occupied by or reserved for large groups of buildings of a public or a semi-public nature. They include San Francisco State College, University of San Francisco, Laguna Honda Home, Youth Guidance Center, several large parochial schools and the University of California Medical Center and the Civic Center. LOCATE WASTEWATER FACILITIES IN A MANNER THAT WILL ENHANCE THE EFFECTIVE AND EFFICIENT TREATMENT OF STORM AND WASTEWATER. Provide facilities for treatment of storm and wastewater prior to discharge into the Bay or ocean. Locate such facilities according to the Wastewater and Solid Waste Facilities Plan. LOCATE SOLID WASTE FACILITIES IN A MANNER THAT WILL ENHANCE THE EFFECTIVE AND EFFICIENT TREATMENT OF SOLID WASTE. Provide facilities for treatment of solid waste and locate such facilities as shown on the Wastewater and Solid Waste Facilities Plan. Amendment by Resolution 12040 adopted on 9/27/1990.